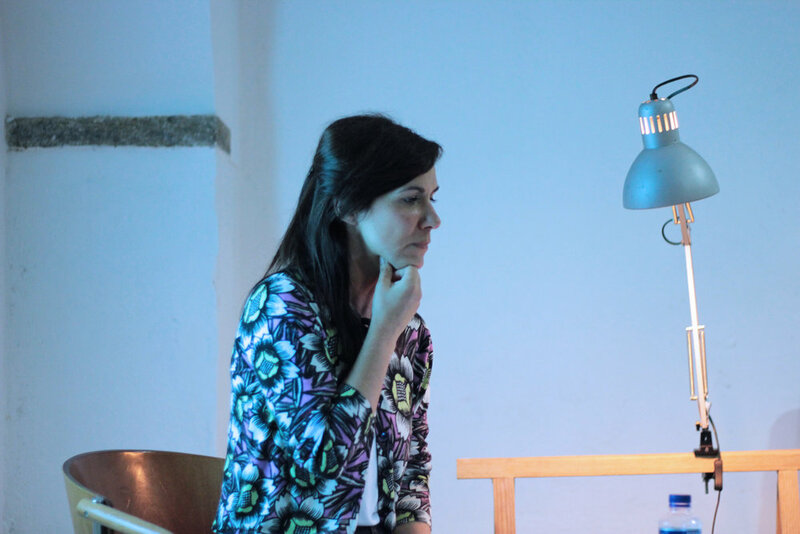 She holds a Ph.D. in Philosophy (Aesthetics) from the Faculty of Social and Human Sciences of Nova University Lisbon (FCSH-UNL, 2013), under scientific supervision of José Gil, a renown philosopher (close to Deleuze), with the thesis Architecture's Body without Organs, which included research residences at the architecture studios of Diller Scofidio + Renfro (New York), Lacaton & Vassal (Paris) and Peter Zumthor (Haldenstein), and for which she has received a four-year Ph.D. grant provided by FCT, Portuguese Foundation for Science and Technology (2007-2011). She is also an architect graduated from Coimbra University (darq – FCTUC, 2003). In 2014, she integrated the Official Portuguese Representation at the 14th Venice Architecture Biennale. In 2017, she curated (with Pedro Gadanho and João Laia) Utopia / Dystopia for the Museum of Art, Architecture, and Technology in Lisbon (MAAT). Recently, she curated The House of Democracy: between Space and Power, for Casa da Arquitectura (House for Architecture) in Matosinhos. She is a member of the current editorial team of Jornal Arquitectos (JA) of the Portuguese Architects Association (2016-2018) and a regular collaborator of Contemporânea, a Portuguese magazine about contemporary art. She has been lecturing in several national and international Universities and publishing in specialised magazines.